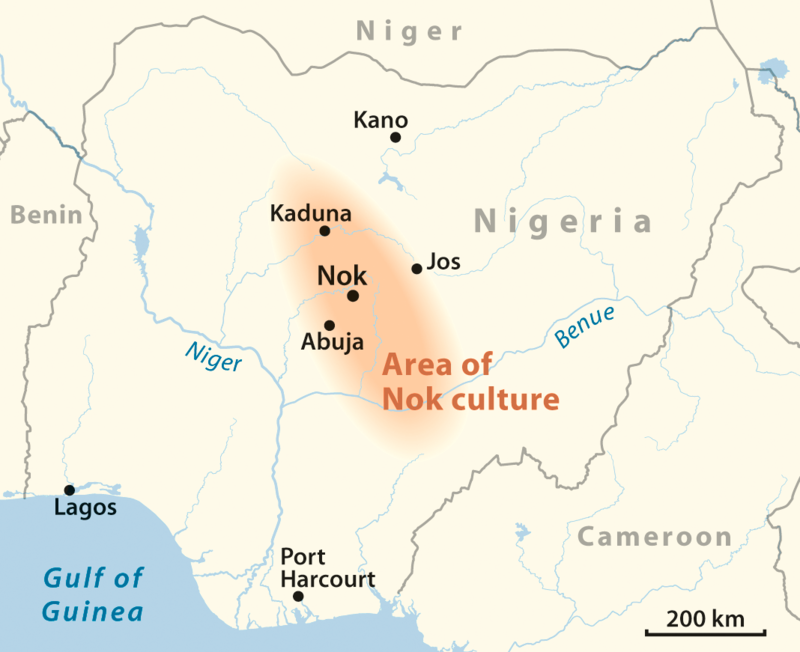 The Nok people were the first known group to live in Nigeria. They existed sometime around 1000 B.C and disappeared sometime before 300 AD and no one knows why. They are important to Nigerian and African history because they are the earliest example of sophisticated sculpture in sub-Saharan Africa. No one knows what the people actually called themselves, the name Nok came from the town where the first sculpture was found. Nok is in the center of Nigeria. It is near the capital, Abuja, and the town of Jos, where the first sculture was found. Nok Sculptures are mainly terracotta (baked clay). They usually take the form of a human head, wearing elaborate jewelry and headgear. Sculptures that included more than the head usually showed Nok people using Iron tools for smelting and forging, these were more prevalent in sculptures made after 500 B.C. Many think this is where the tradition for sculpture in clay, brass and bronze came from the Nok people. These resemblances are shown in the Ife, Benin, and Yoruba art. 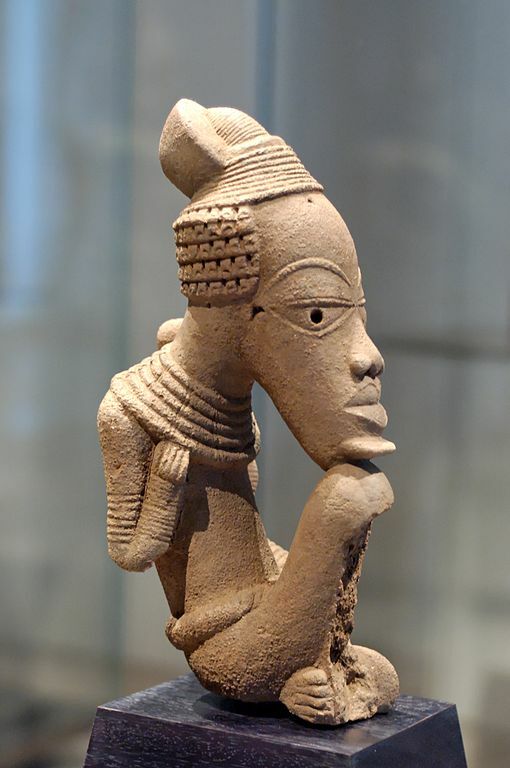 The first Nok sculpture was found in 1928 while tin mining in the Jos Plateau. The main find was in 1943 when a group of miners found 150 pieces in the town of Nok. After finding these, systematic excavations were ordered and revealed even more finds around the area. These sculptures are now located all over the world in museums and history galleries. People can still go visit the town of Nok and watch excavations in progress.